TRU Applied Sustainable Ranching program is hosting a Stockmanship and Vaccine Protocols clinic with instructors Curt Pate and Gordon Colliar. Join us as a rider for the clinic- we have a few spaces available. $300 for the three full days. Happening at the Williams Lake Stampede grounds. The third cohort of students began orientation week (ASUR 1010) on August 27-31. Thanks to all those producers (14 in total) who hosted the student field trips and/or took part in the classroom welcoming session. ASUR 1040 (Applied Skills and Diversification) is now running from Sept 4-Nov 25. 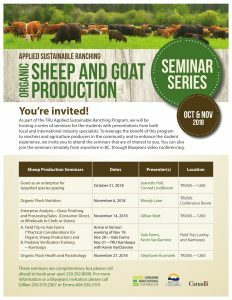 The only second year course that will be offered this fall will be ASUR 2020 (Sheep Production) from Oct 15-Nov 25. At the moment there are 9 students on host ranches and there are currently 15 host ranches in total that will take students on at different times of the year. This fall the coordinator, with input from the students, the host ranches and Reg Stewart from Ag Safe, will be formalizing the host ranch agreements and learning competencies for work based training. 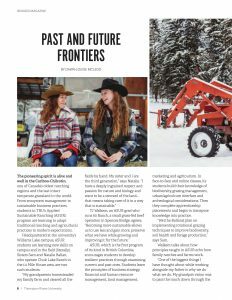 This is to ensure that the students can have their applied skills competencies checked off by the host ranches as they progress through the work based training portion of the program. If you are interested in being a host ranch, please contact Gillian Watt at 250 319 2367. 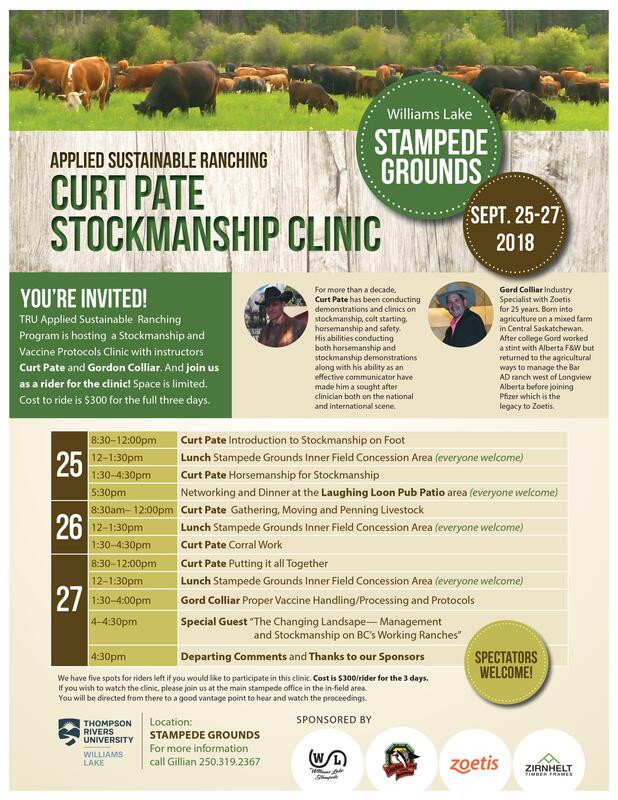 Sept 25-27 Curt Pate Stockmanship Clinic at WL Stampede Grounds – BC Livestock Co-op, Vanderhoof will be co-hosting this clinic and will be sending staff down to participate. Thanks to the WL Stampede Association and Zoetis for helping to sponsor this event. 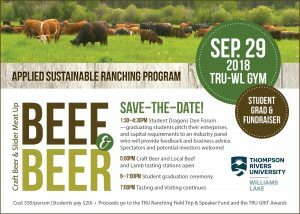 Sept 29 – Beef and Beer Grad Celebration and First Annual Bull Pen presentations where graduating students will pitch their business plans to a panel of industry experts who will provide feedback. Everyone is welcome to attend this event. The awards will be applied as a tuition reduction of $1,000 at the start of classes in the Fall 2018 semester. 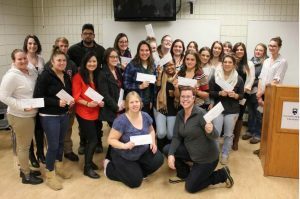 The remaining $1,000 will be applied as a tuition reduction for the Winter 2019 semester. Wanted: Employee for cow-calf operation. We are looking for a half-year full-time employee at our home quarter between Provost, Alberta and Unity, Saskatchewan. 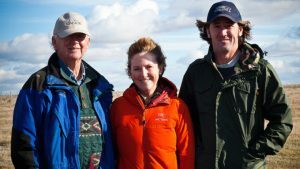 We value environmental and sustainable ideas, are doing 100% grass-fed beef. 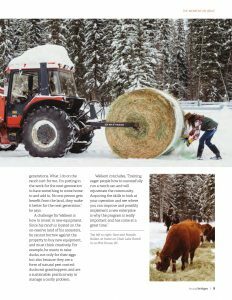 This is a salaried position on organic ranch near Provost, Alberta, winter feeding and calving Nov.15-May 15, generally half-year full-time. No accommodation but mobile home on serviced lot rent-free OK. Piggybacking OK (we’re totally OK with someone wanting to get into the industry piggybacking off our operation). $12,000-$16,000/year depending experience with performance bonus. Email: nathan@tangosmeats.com. 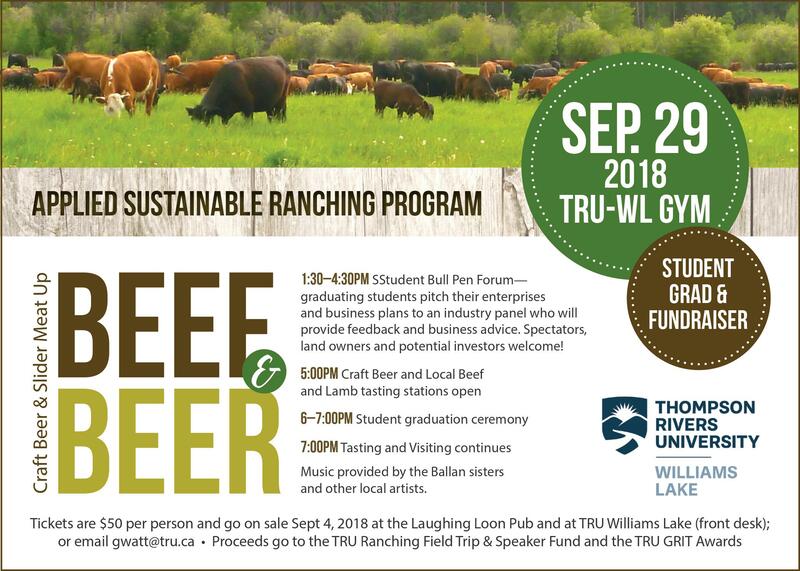 On September 29 the Ranching Program is hosting a Beef & Beer event. Tickets will be on sale soon. Check back with us. A preliminary steering committee has been put together for this proposal. A funding application have been submitted. We have begun collecting a list of interested parties. We have set a meeting time on May 1 from 4-7 pm at TRU in Williams Lake. The room number will be posted at the entrance to TRU. We will have the Dean of Science from TRU, Tom Dickinson attending via web conferencing. Please attend if you can. If you know others that should attend please let me know and pass this information on to them. I am attaching a one page summary of the proposed Centre of Excellence. Contributions to project by project partners eg. In kind from managers and accountants on production costs of value chain members. 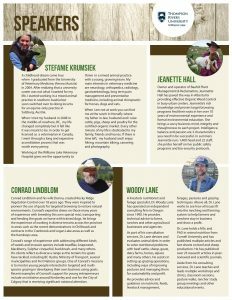 Check out our students Natalie & Sam Ballan and TJ Walkem of 60 Ranch in the latest Bridges publication.